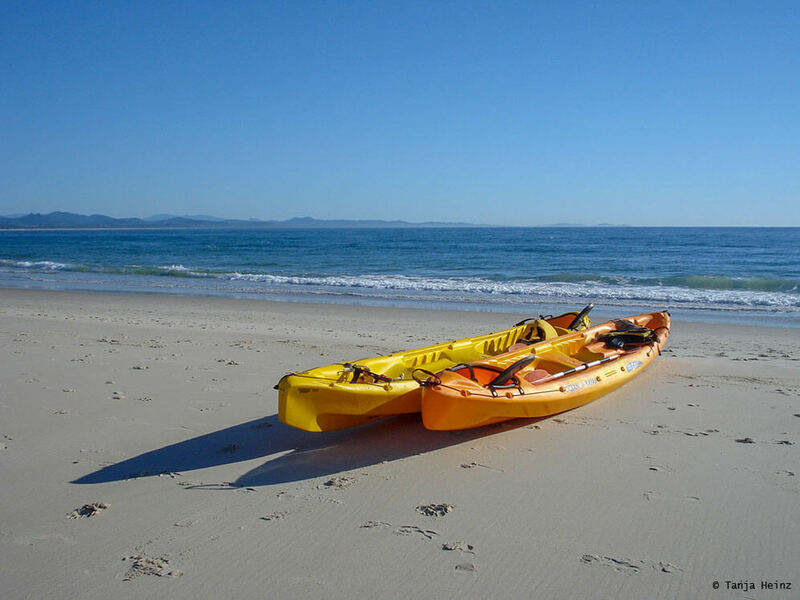 It was everything I had wished for when I went for whale watching in Byron Bay on a boat. 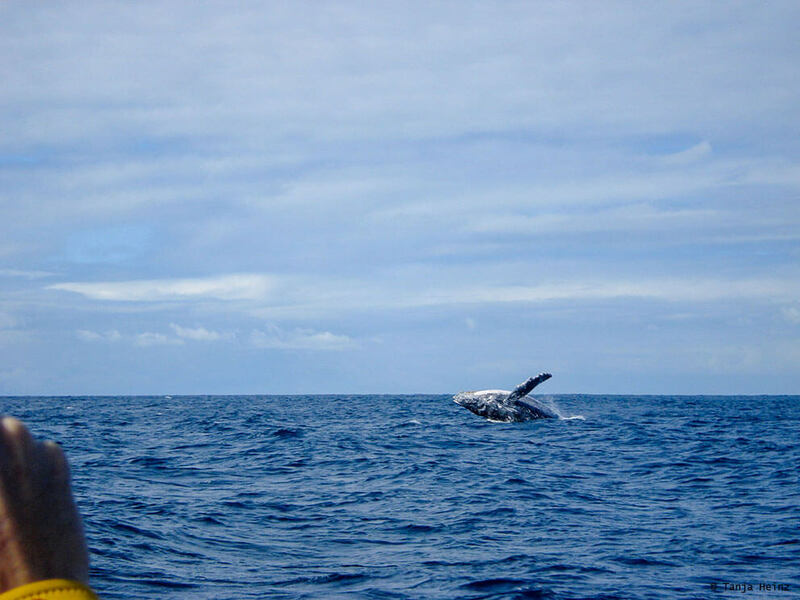 Although there were many humpback whales around when I went whale watching in Byron Bay, we had to search for them for almost two hours until we found the first one of them. 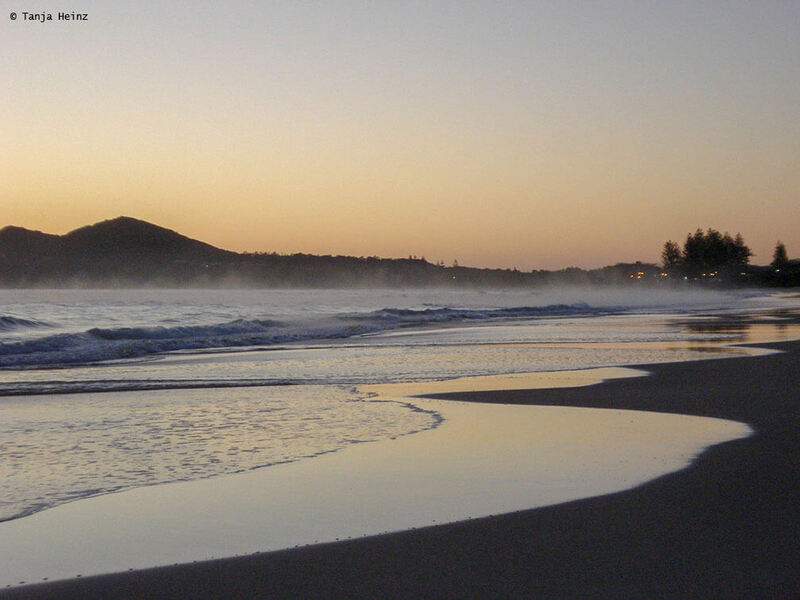 The whale season in Byron Bay starts in the Australian winter when humpback whales pass the Australian coast on their annual migrations between May and November. When it is summer on the Southern hemisphere, humpback whales stay in their feeding grounds in Antarctic waters. 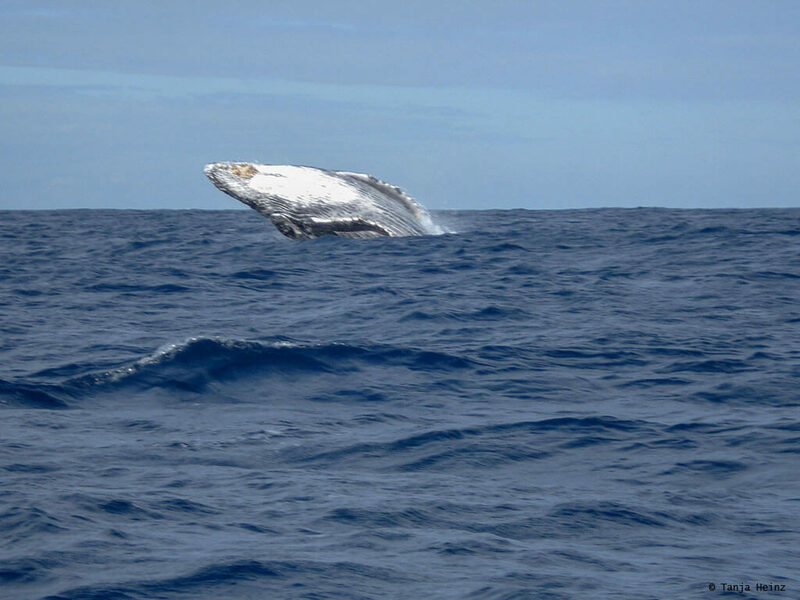 But in winter humpback whales migrate to the North to their breeding and calving grounds in tropical waters. 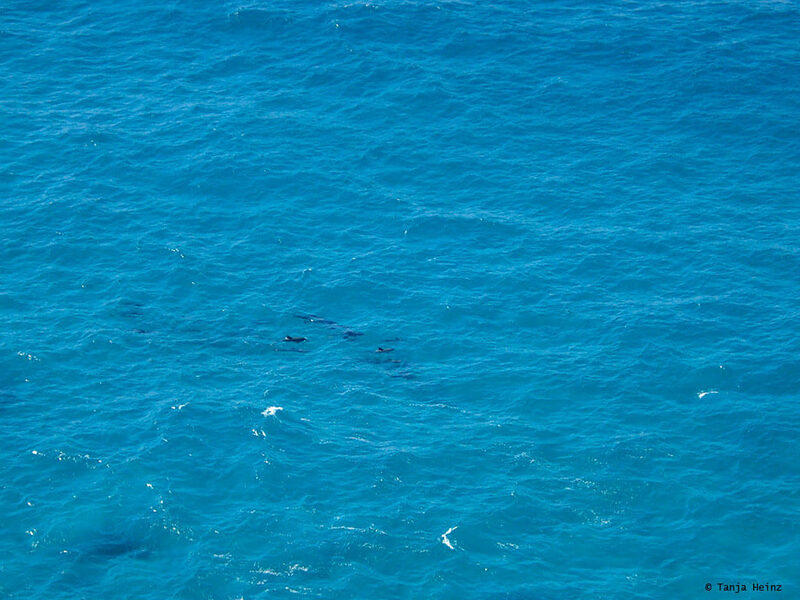 During their migrations from the Antarctic to the tropical waters humpback whales pass Byron Bay. 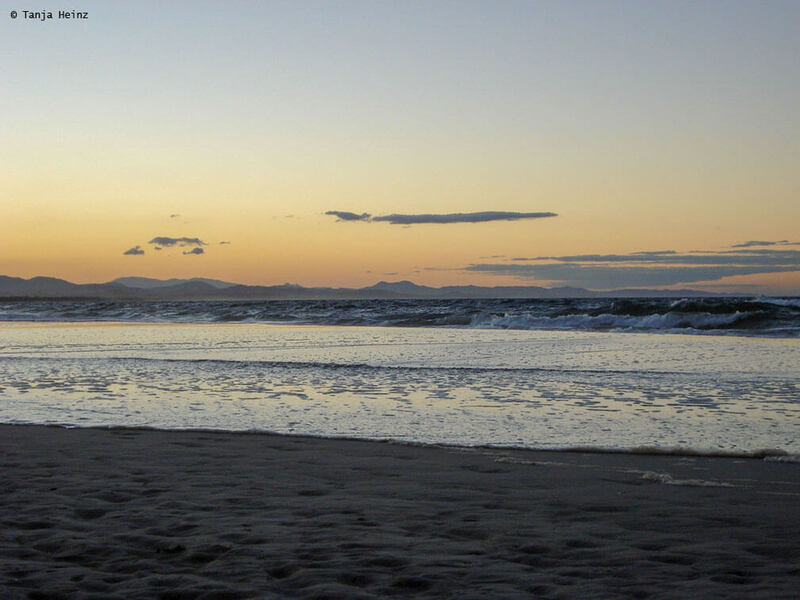 The first humpback whales in Byron Bay arrive around July. 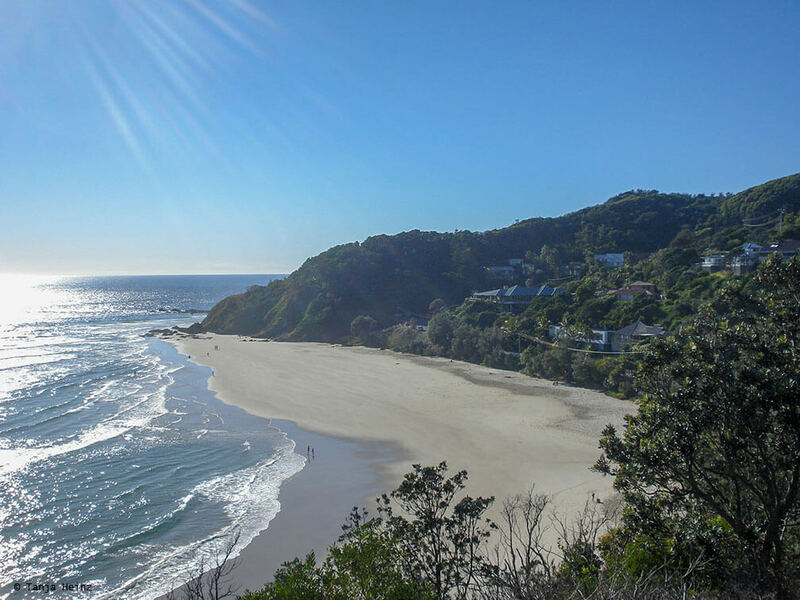 Why is Byron Bay the perfect place for whale watching? 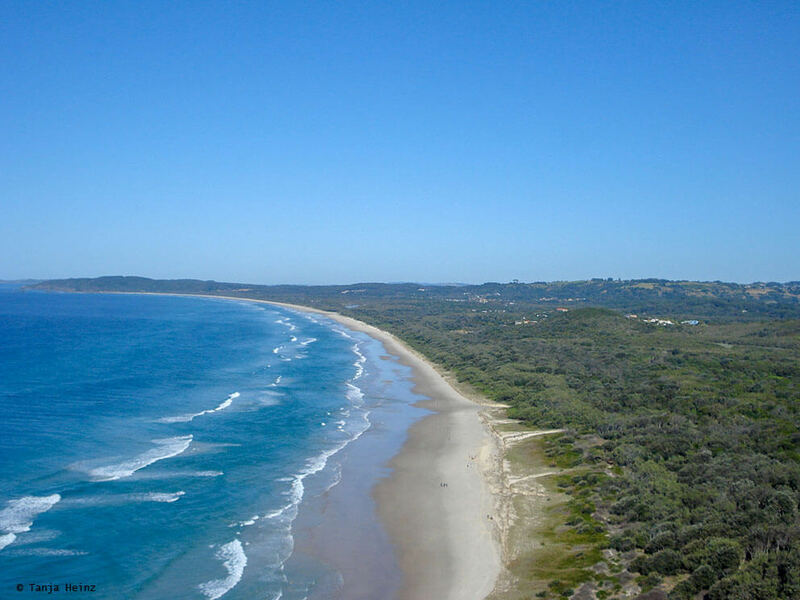 Byron Bay is a perfect place for whale watching as it is close to Cape Byron which is the most easterly point of Australia. 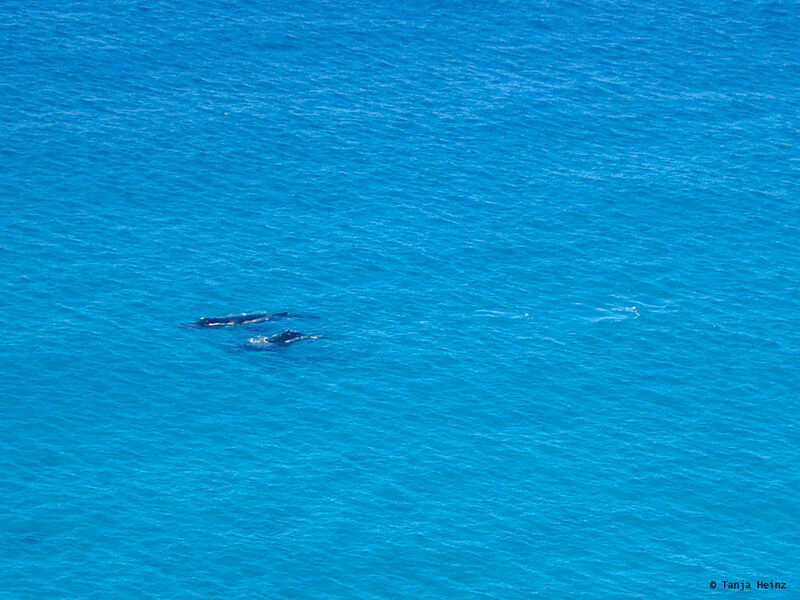 As it is the most easterly point many humpback whales pass Australia close to the coast. I started my journey to Australia in a February in Brisbane. That is not in the whale season. 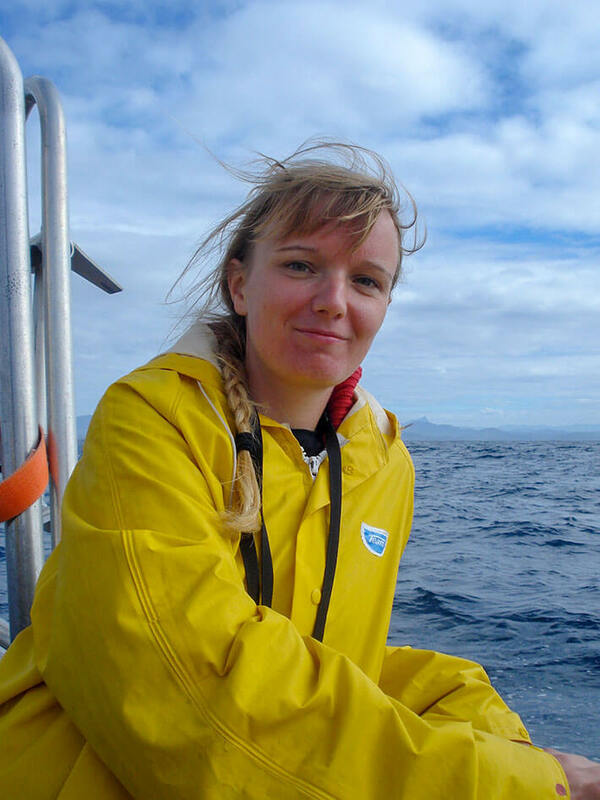 However, as I was busy until the end of June with my study abroad semester, I travelled to Bryron Bay only at the beginning of July when the first humpback whales would arrive. 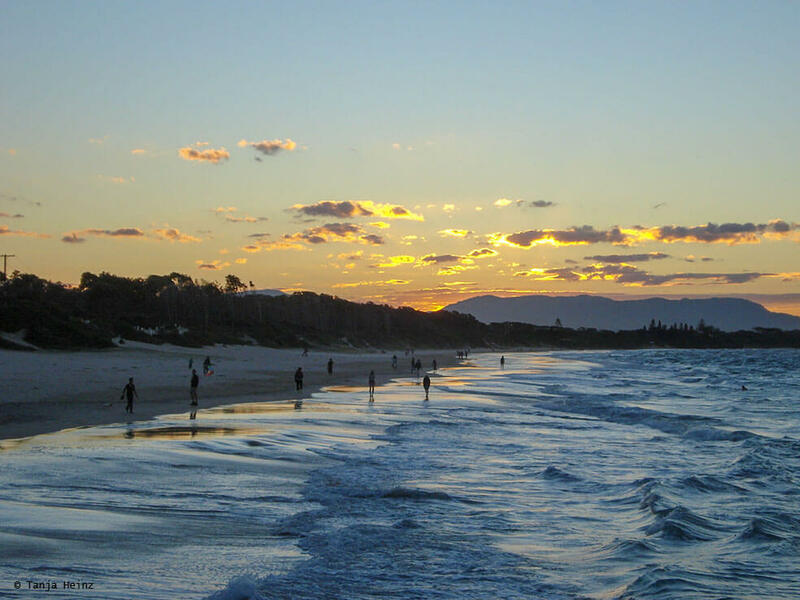 Byron Bay was my first travel destination after my study abroad semester on a six-week journey through Australia. 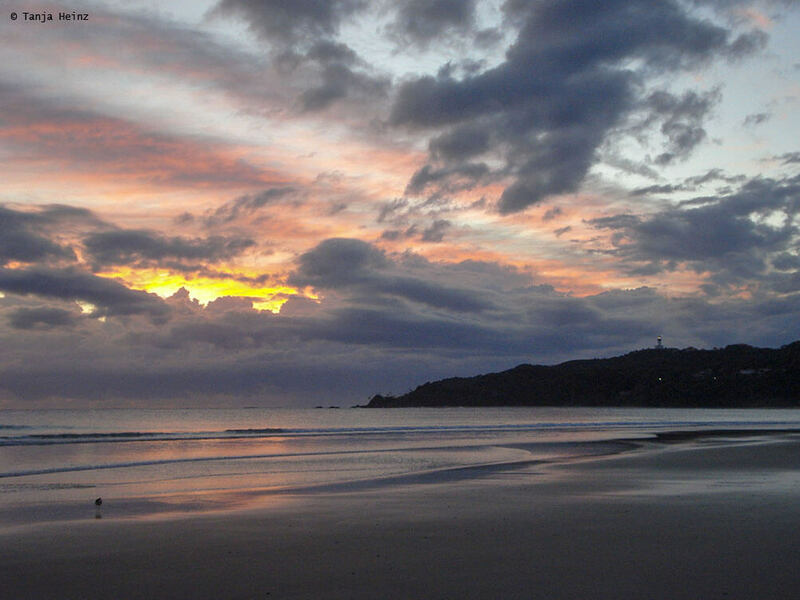 Brisbane is approximately one hour and a half away from Byron Bay by bus. 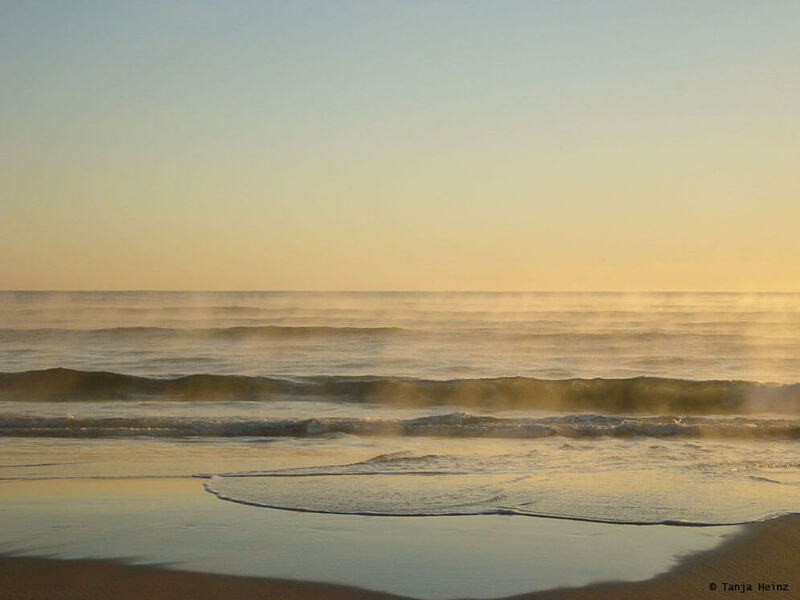 This way I could decide by myself where and how long I wanted to stay at one place. 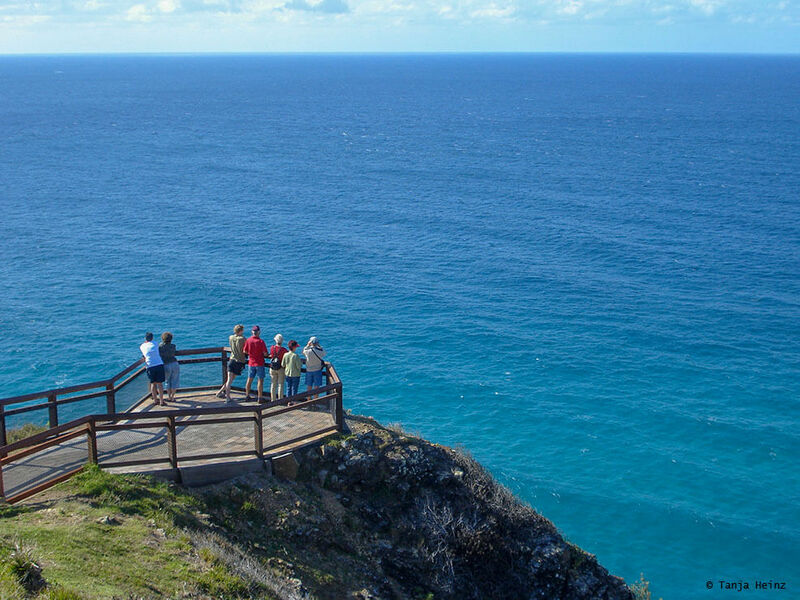 Especially for whale watching you need a lot of time and not everyone is interested to stay one week ever day on an observation point on Cape Byron to wait for humpback whales. It could be quite boring for someone who is not that interested in whale watching. However, for me it was not boring at all. 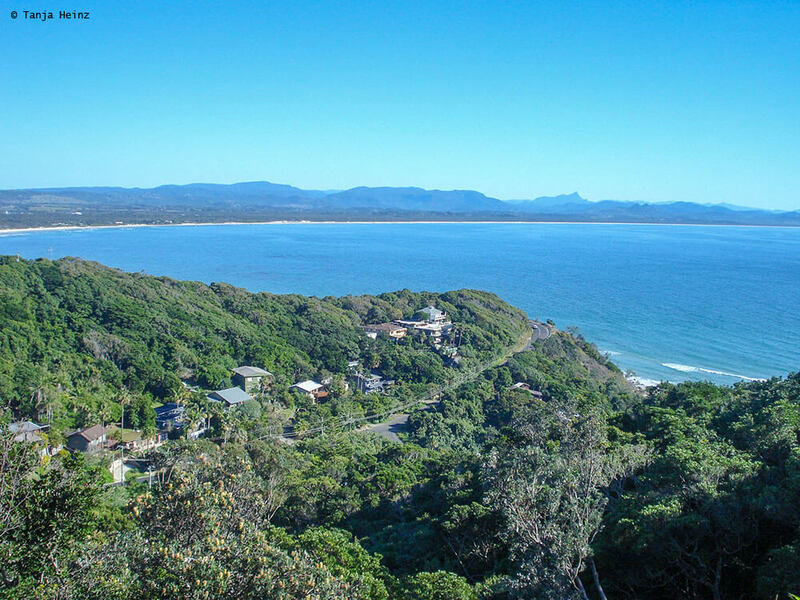 I stayed in Byron Bay for one week and I walked up the hill to Cape Byron every day. 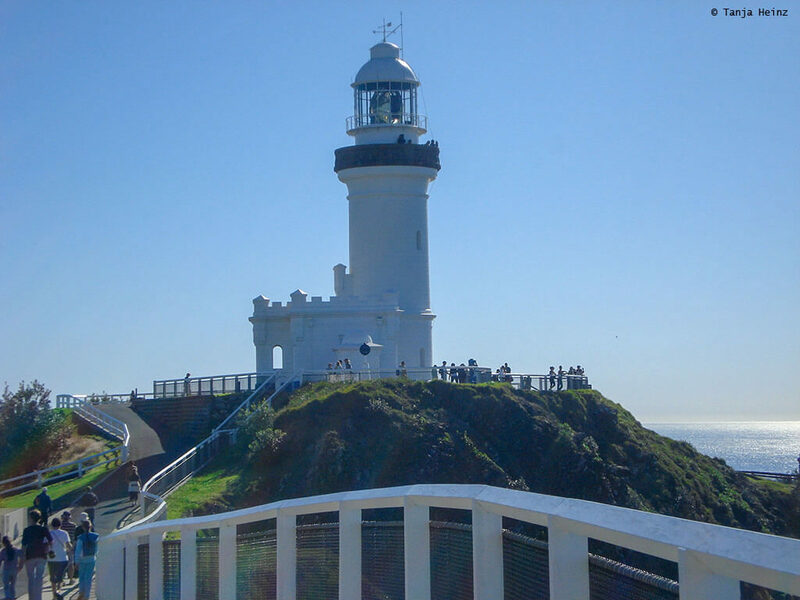 That is to the place where the lighthouse Cape Byron Light is located. 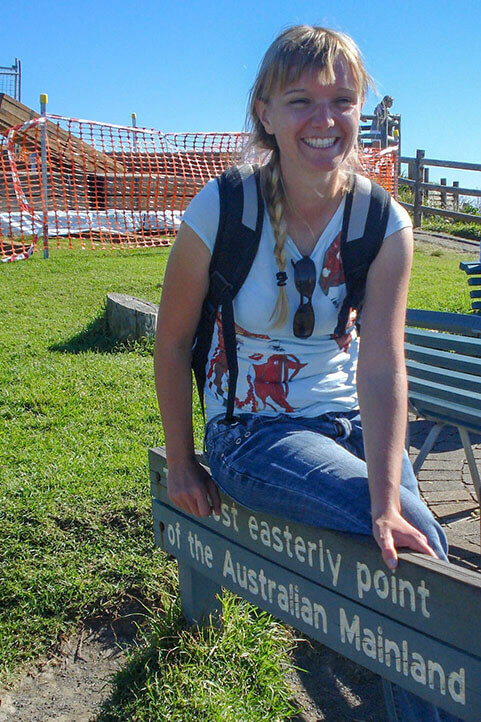 The observation point close to the Cape Byron Light was perfect to observe migrating humpback whales. Of course, I was not the only one who knew that. 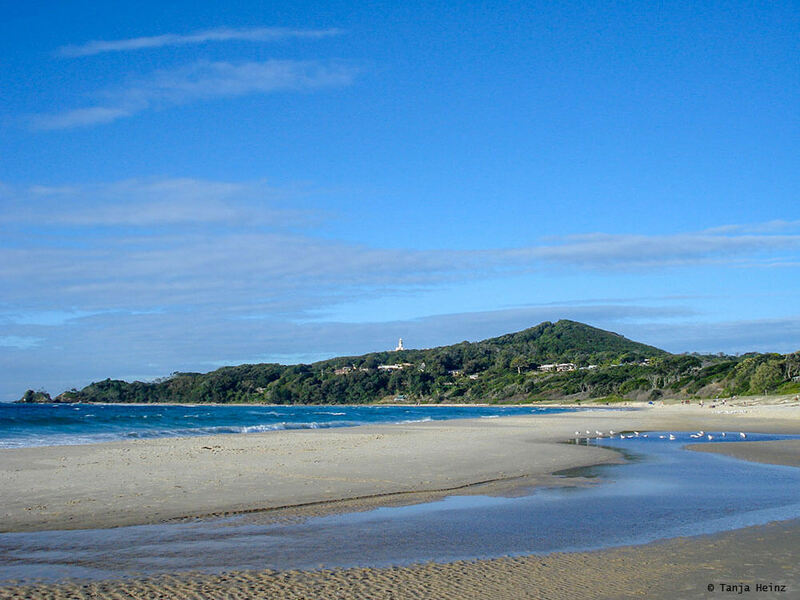 Whale watching in Byron Bay attracts many interested whale enthusiasts. 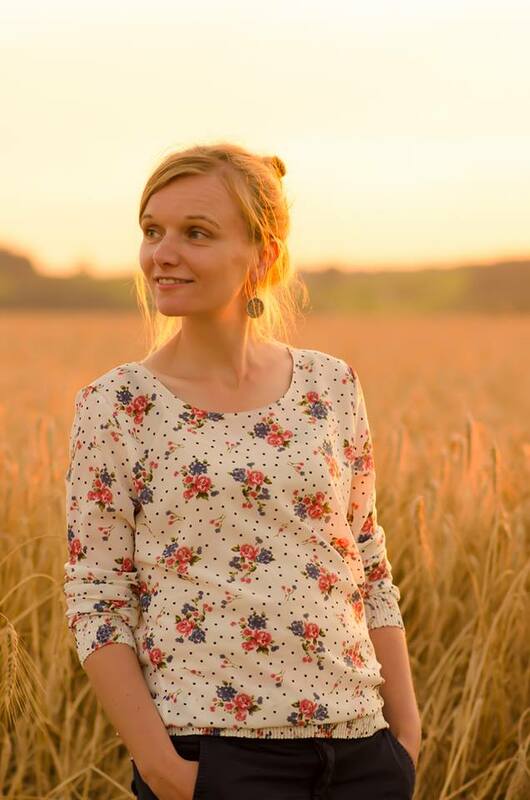 When I was walking up the hill I usually took some time to enjoy nature and landscapes. But eventually I wanted to reach my destination. 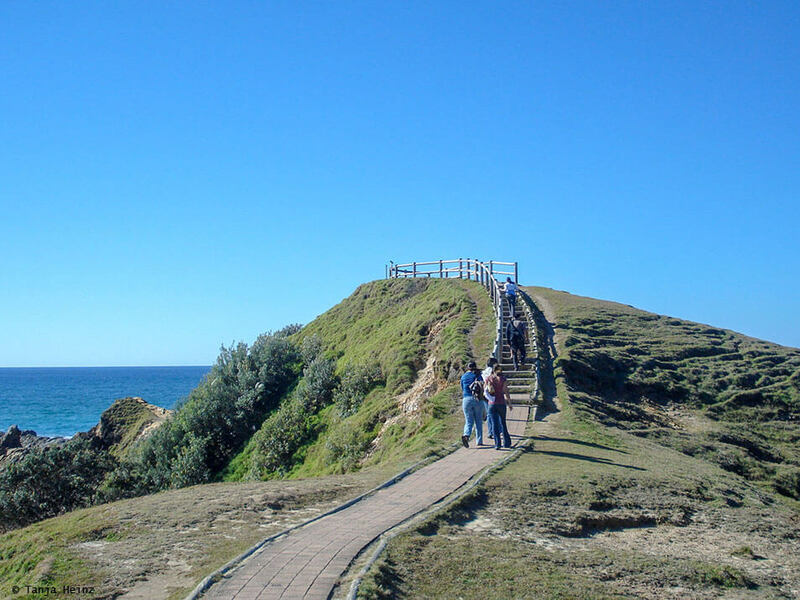 … which became my favourite place during my stay in Byron Bay to observe migrationg humpback whales. … and sometimes in a group with two or more individuals. … and in other moments they slapped there fluke onto the water surface. 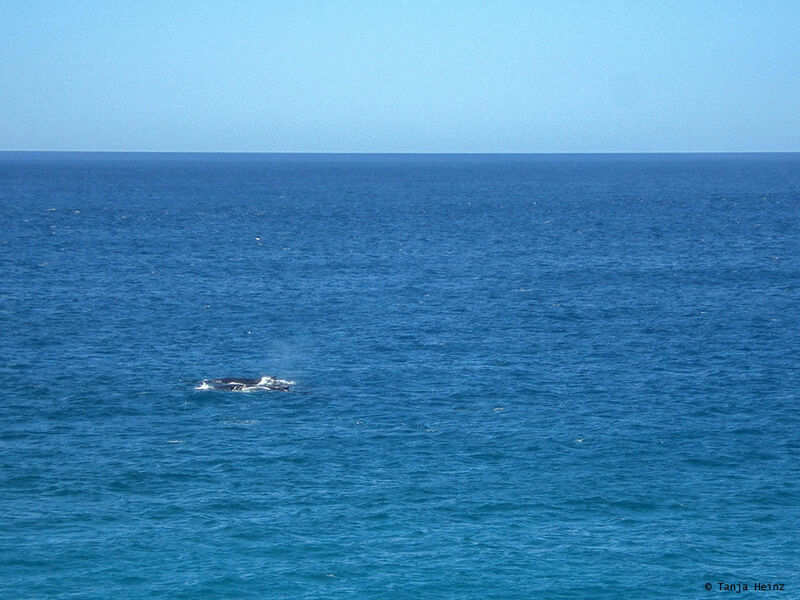 Unfortunately the zoom of my digicam was not good enough to take good pictures of the humpback whales. I did not own a DSLR camera like I do today. However, on my journey later to South Africa I travelled with my DSLR camera and there I could take many pictures of migrating humpback whales. 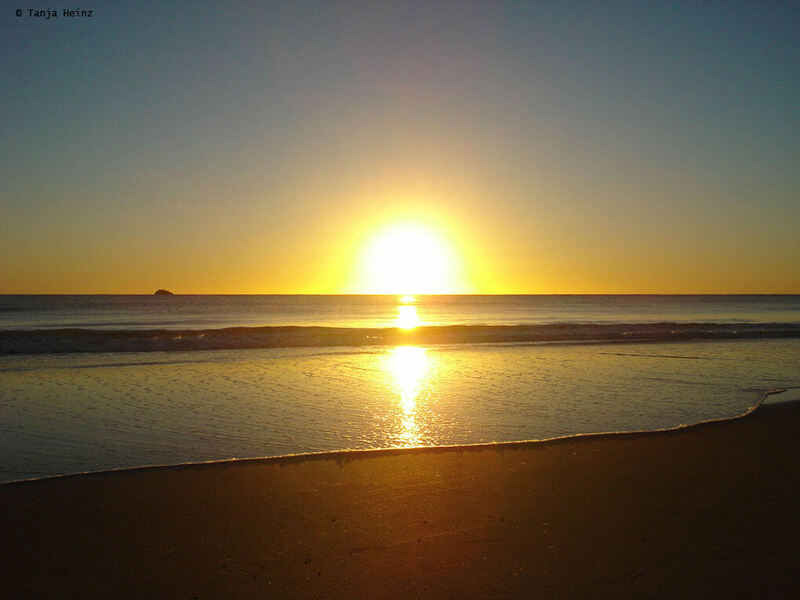 Anyway, when I was in Australia I was not very interested in photography. I just had eyes for whales and other wild animals. 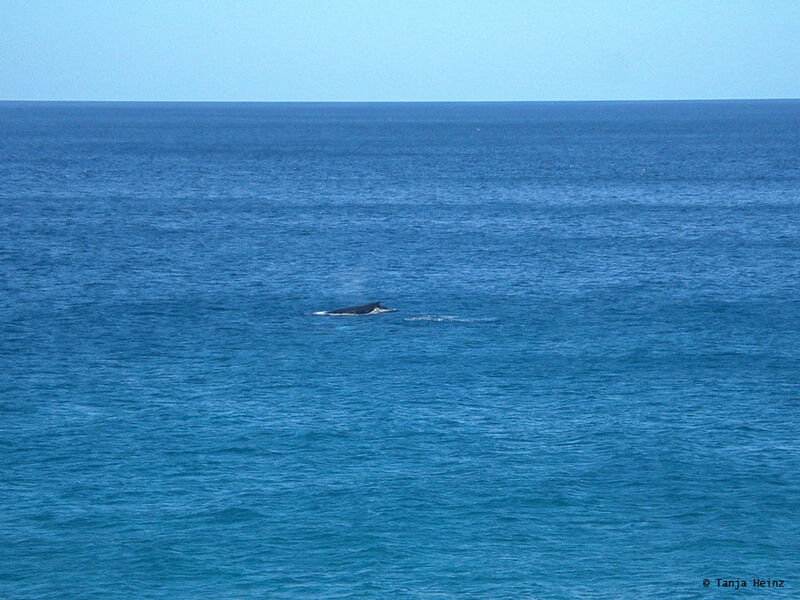 I was very happy when I saw a mum with her calve on one whale watching day in Byron Bay. As they were migrating so close to the coast, it was a little bit easier for me to take pictures of them. 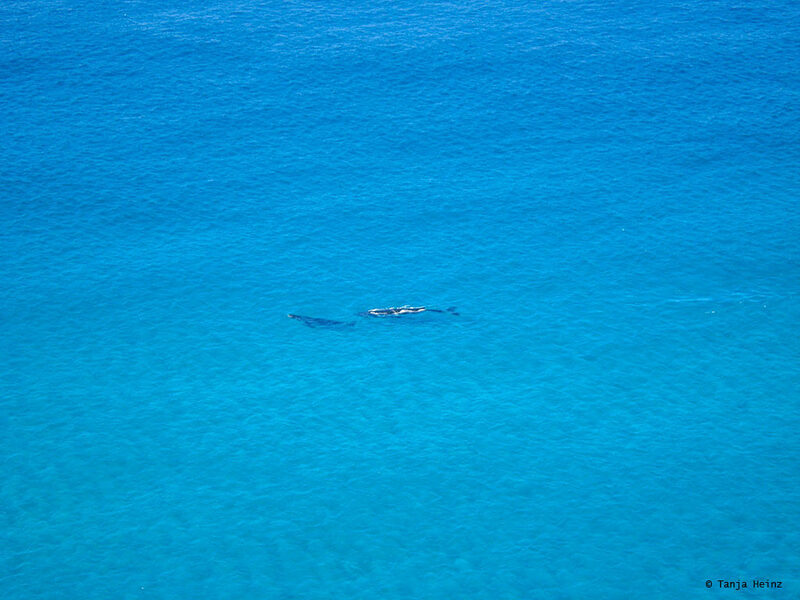 Sometimes I also observed some dolphin schools. Further down the hill I observed some more dolphins where it was a litte bit easier to observe them. Nevertheless, on one day I wanted to see the humpback whales from a boat. 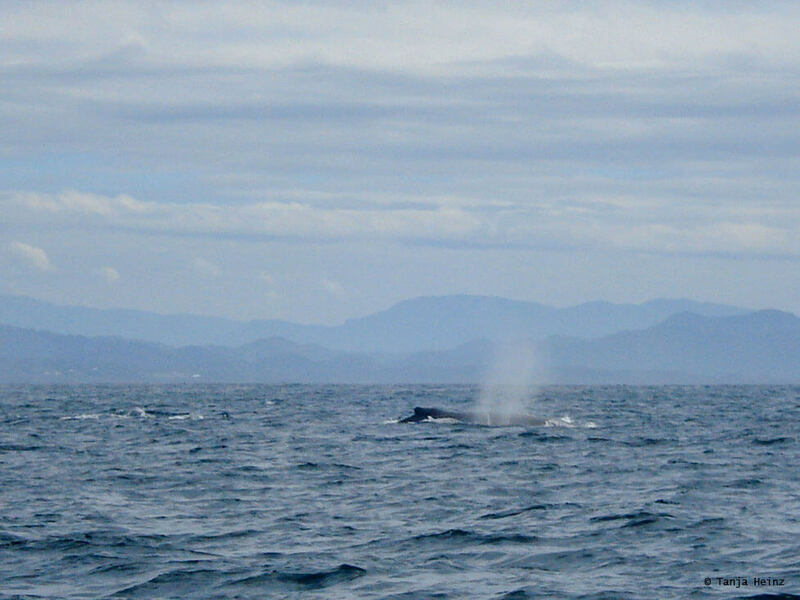 I realized that with Whale Watching Byron Bay. 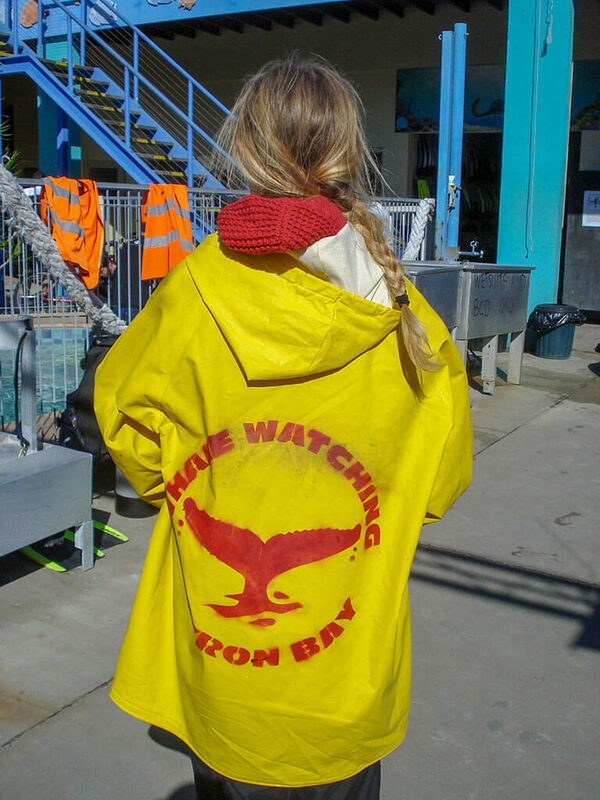 Every participant received a yellow rain jacket as it can be wet on the boat. 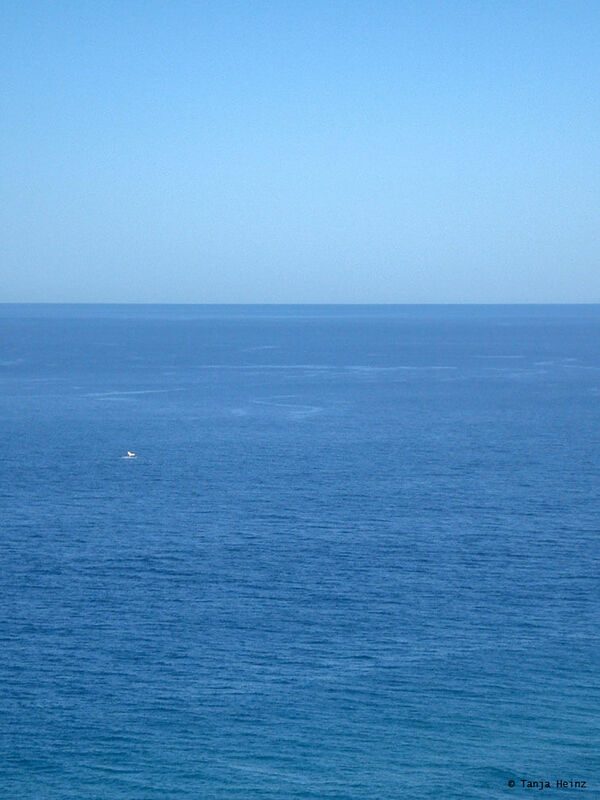 I was very looking forward to go for whale watching in Byron Bay from a boat. We were searching and searching and searching. „Where are they?“ I thought. 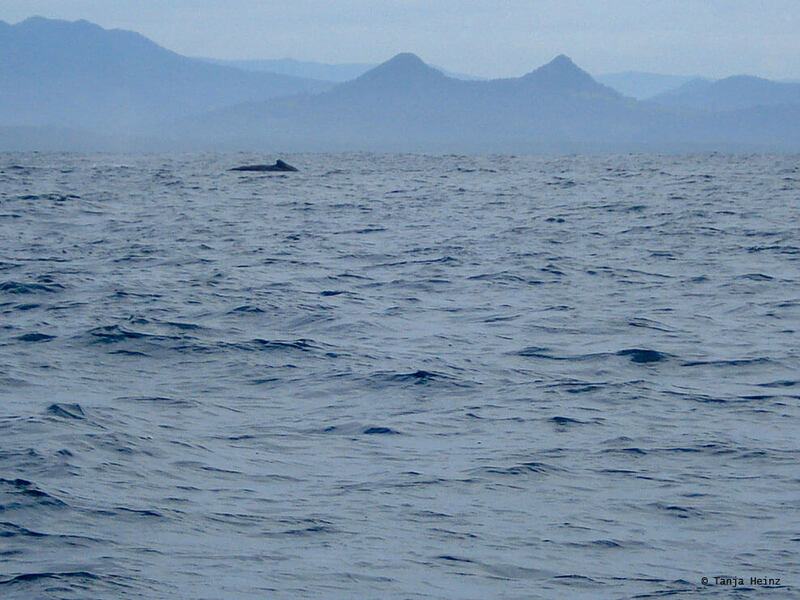 There was a humpback whale fin far away from the boat. The skipper drove the boat into the direction of the humpback whale fin. The solitary humpback whale showed us its best side. And that is “breaching”. 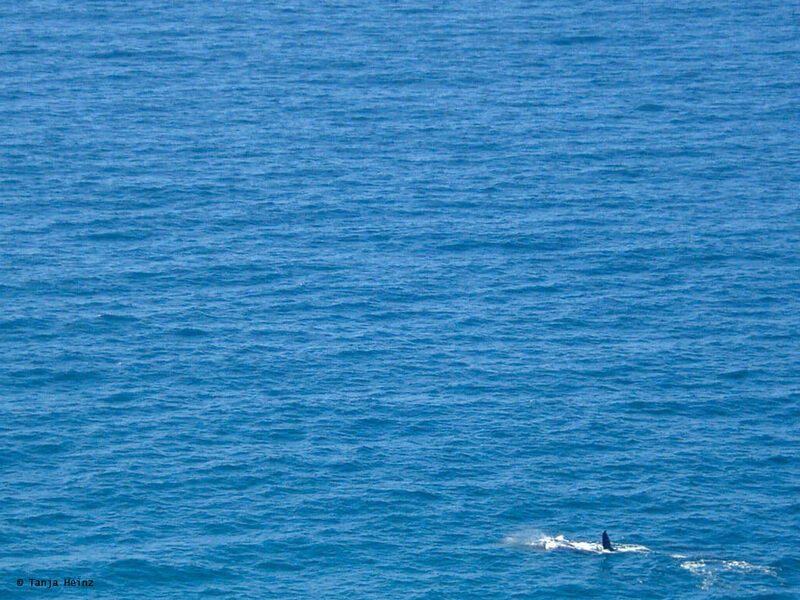 Finally, the breaching humpback whale became my favourite picture of my whole journey through Australia. 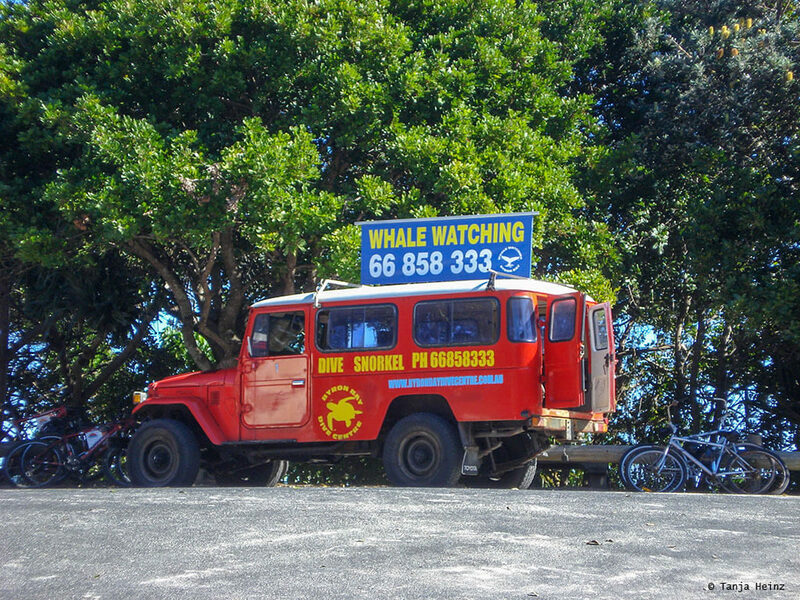 I was definitely lucky when I went for whale watching in Byron Bay. 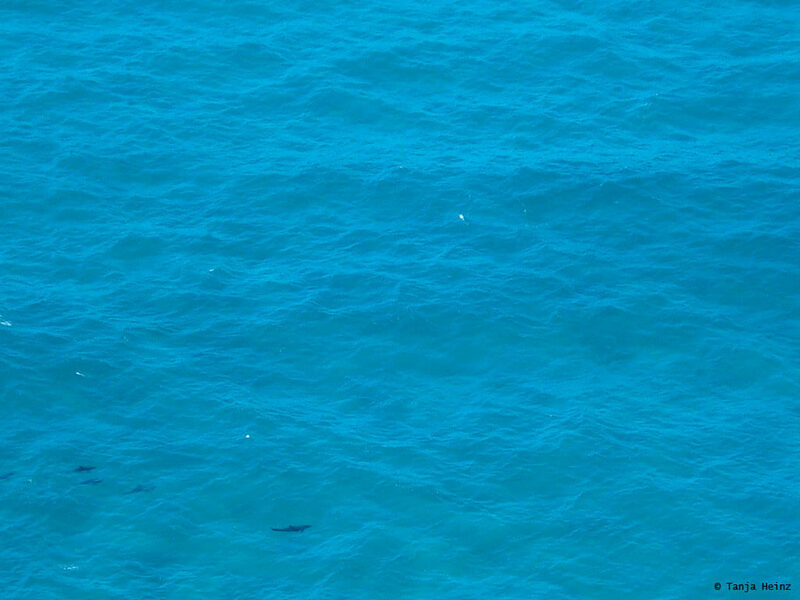 And of course, it was not the last time that I observed humpback whales in the wild. More encounters with these beautiful marine creatures I should realize in the future. … but on other days it was a cloudless day. In the evening the colors of the sunsets were also very memorable. On every evening I went for a walk. 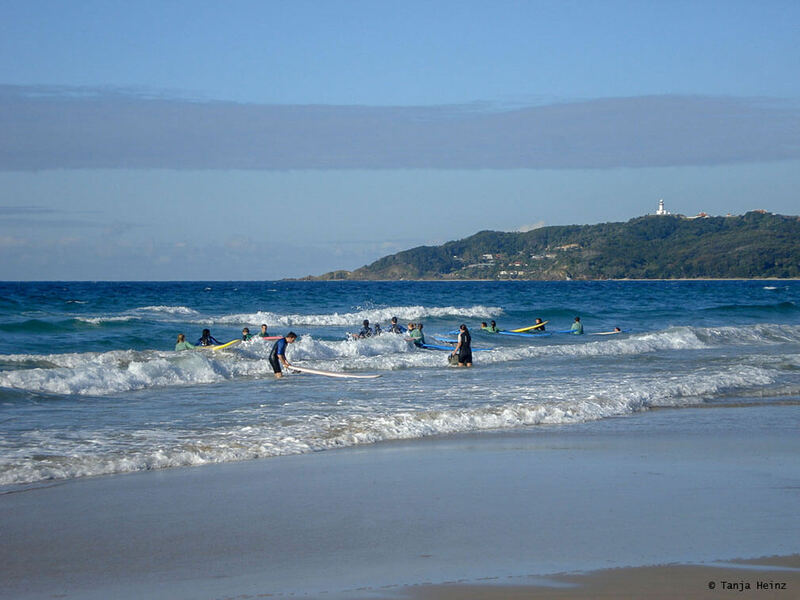 Many people in Byron Bay start their sports early in the morning. People also visit the beach during the day, of course. 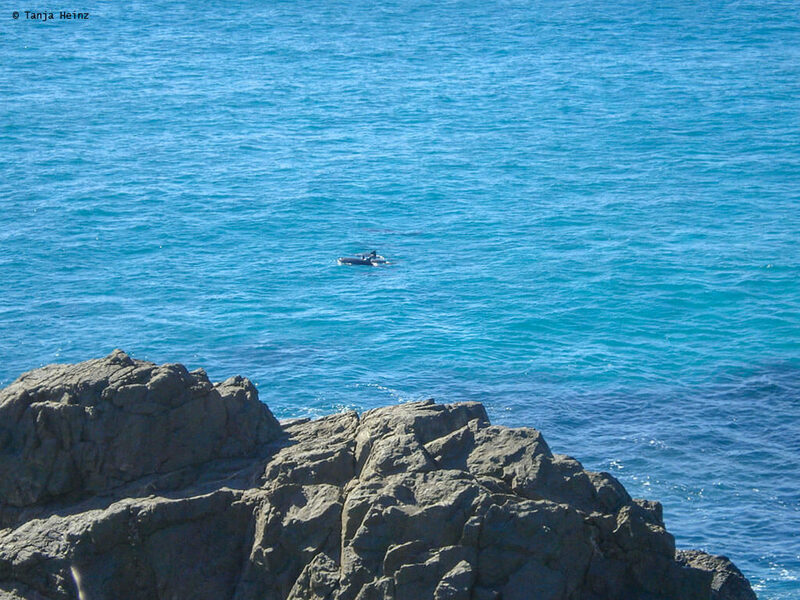 However, I went for whale watching in Byron Bay in the winter months. 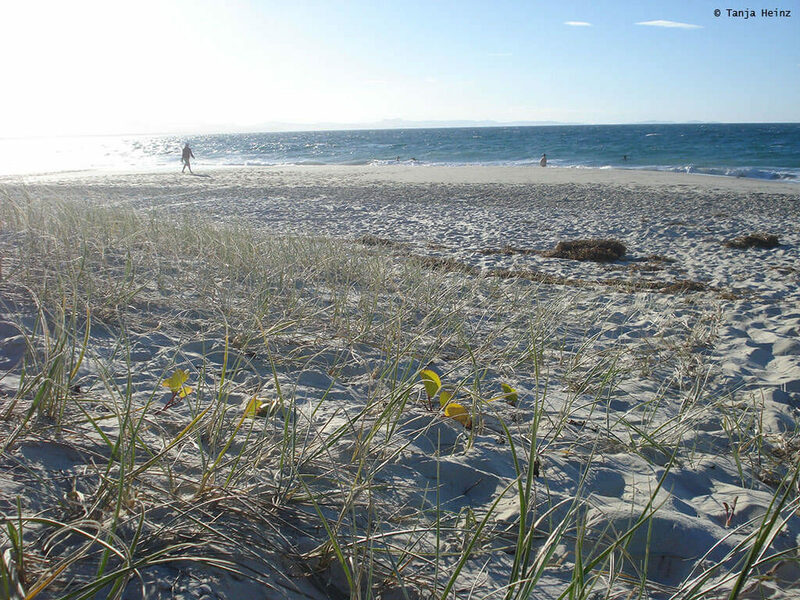 Maybe because of that the beaches were not at all overpopulated. It was even quite cold. 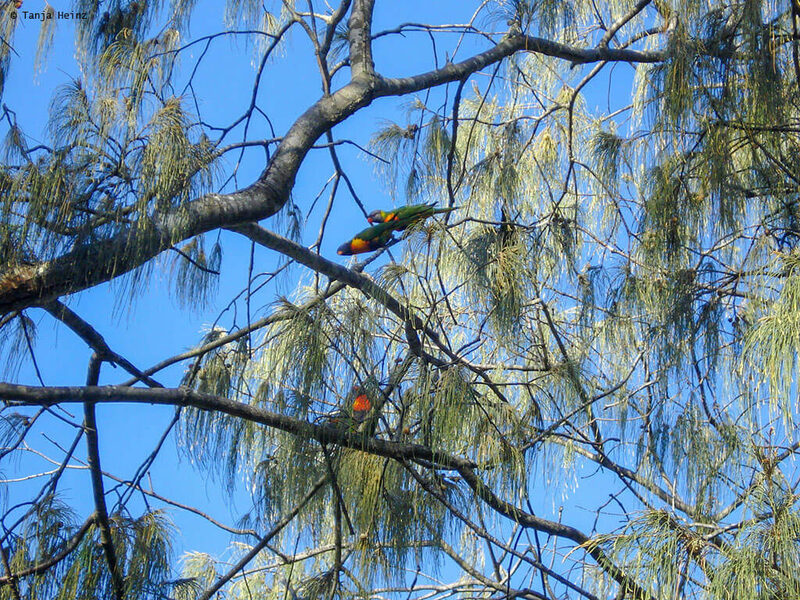 I also remember the colorful birds when they were singing – especially in the evenings. I felt like in a paradise. 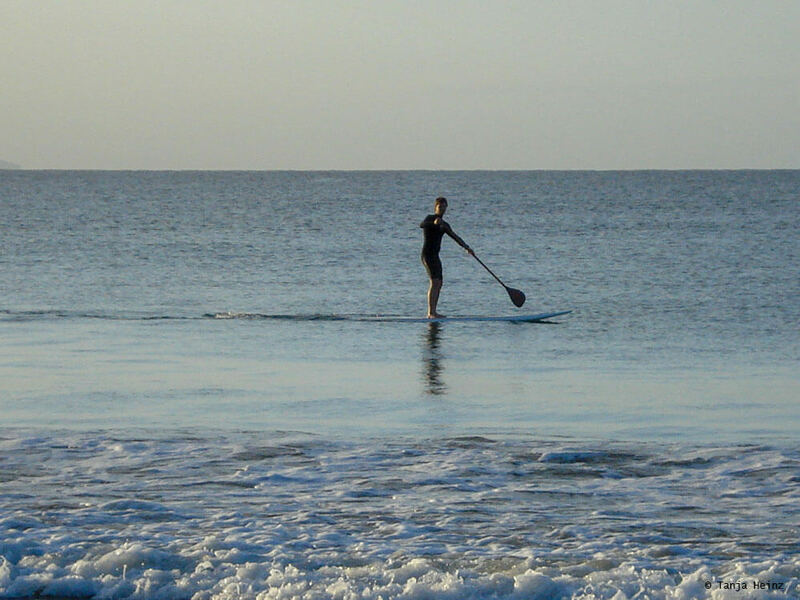 However, whale watching in Byron Bay was not the only wild animal encounter activity for me in Australia. More should come to happen for me like the animal encounters on Kangaroo Island and Phillip Island.